Playing guitar, singing lead and harmony vocals is Tim Sands. Drawing his love for all things acoustic from his dad – Tim started playing at a young age . . . He hasn’t gotten much better, but has always had sense enough to surround himself with excellent musicians. Tim loves the concept of ‘a band’ and enjoys his role as the ‘Chief Nit-Picker’ (sometimes probably a little too much). He revels in arrangement and lives for the times when a sound in his head comes out through the band. He writes much of NOTA’s original material and lives in one of the relatively flat spots between Pinnacle and Pilot Mtn., NC. Tim provides the fundamental support for the band with his solid bass playing and tremendous sense of rhythm. From Yadkinville, NC. Tim got his musical start with the piano and brass instruments at an early age. 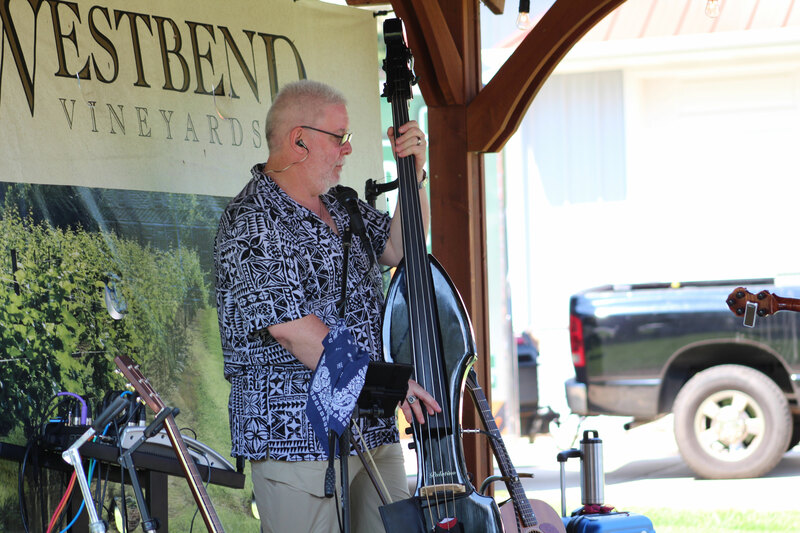 With his dad's influence, he began playing bluegrass at age 18 and has never turned back. Tim also has a solid baritone voice that helps blend the vocals for three-part harmony. From Mt. Airy, David Crawford, adds a unique mandolin playing style that fits well with the group. David provides some harmony and sings lead on at least a few songs each set. Jon comes to NOTA as a seasoned professional and multi-instrumentalist from years on the road. He makes his home in Clemmons, NC. Jon easily shares duties on lead and harmony vocals, while providing a succinct, dynamic sound and creative leap on the banjo. The ability to migrate between traditional and progressive bluegrass styles, highlights Jon’s expertise and musicianship, while adding a signature element to the established sound of None Of The Above. Lee has been playing musical instruments since he was six years old. He's played many instruments over the years including flute, saxophone and trumpet and also picked up the guitar. He also played guitar and keyboards in a few garage rock bands. In his 20s, he became interested in the highland bagpipes and joined the Grandfather Mountain Highlanders, which at that time was an active competition band playing all over the world. After 10 years or so of travel, he put the pipes away. He started playing dobro around 2007, and that has been his main musical interest since then. He joined None of the Above in 2012 after hearing them play at a local church service. For sound clips, visit soundclick or you can order one of our CDs here. For the second time in just a few years, a bluegrass band has covered Journey’s ’80s rock classic “Don’t Stop Believing.” None Of The Above’s version is less frantic and less imitative of the original than that recorded by Pine Mountain Railroad, but is arranged more intricately and is equally worthy. Either way proves the song adapts well to bluegrass. 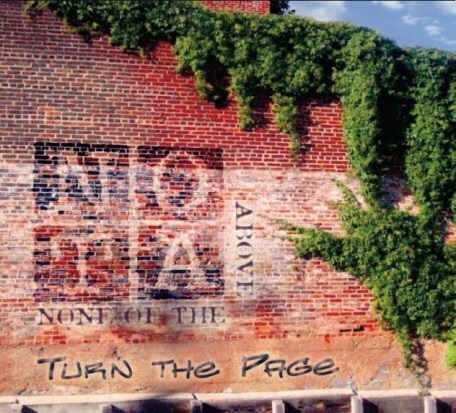 The same can be said of NOTA’s cover of America’s “Sister Golden Hair.” Both are album highlights. Both also reflect a slight change of direction for the band, as nothing listed on their first four recordings seems remotely like these two songs. There have also been some band member changes since the group’s last recording. The two newcomers who join guitarist Tim Sands, bassist Tim Harrison, and mandolinist David Crawford are vocalist Allison Trogdon and banjoist Jon Cornatzer. 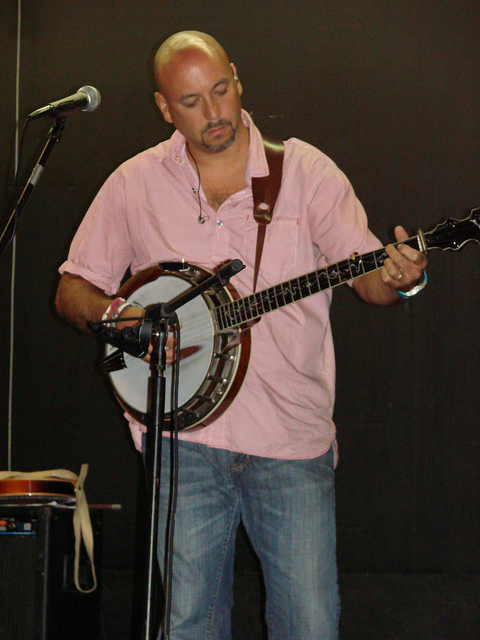 Trogdon, a polished vocalist with outside bluegrass influences, sings lead on two songs (including “Don’t Stop…”) and contributes harmonies throughout. Cornatzer takes the lead on Gordon Lightfoot’s “Ribbon Of Darkness” and swings between tradition and contemporary on the banjo. He contributes two instrumentals, the moody “Road To Bei Hei” (which is a bit short) and the lilting “Tamara” (which would work better if it were two minutes shorter). Tim Sands still handles most of the lead singing. His expressive voice brings great texture to Julie Miller’s “Midnight & Lonesome,” Tim O’Brien’s “Turn The Page Again,” and Jeff White’s swinging country “Blue Trail Of Sorrow.” He is at his best on “Sister Golden Hair” and in a lively duet with Trogdon on Gillian Welch’s “Wichita,” an old time number. The latter revolves around a nifty instrumental riff and is arguably the best track on the recording.